Solicitor-General Lockwood--As regards the hardship which my learned friend alleges to have been inflicted on the defendant in being cross-examined three times, I am prepared to argue that so far from being placed at a disadvantage, there are good grounds for coming to thc conclusion that he is now better fitted and readier with his answers than before. . . . It is upon the evidence only that I ask you to condemn the accused; but you win not appreciate the evidence until you know what manner of man it is you are dealing with. Who were his associates? He is a man of culture and literary tastes, and I submit that his associates ought to have been his equals and not these illiterate boys whom you have heard in the witness-box. . . .
You cannot fail to put the interpretation on the conduct of the prisoner that he is a guilty man, and you ought to say so by your verdict. As to the statement of Sir Edward Clarke that Mr. Wilde himself created inquiry into the matter, that statement of my learned friend makes it necessary for me to recall to your minds, gentlemen, the relative positions of the parties in the Queensberry case. Sir Edward Clarke has contended that Lord Queensberry's libels referred to events of two years back, and that in the lapse of time witnesses for Mr. Wilde have been lost sight of. But I ask you, what witness has been lost sight of? I suggest to you that it was the fact that Wilde had seen nothing of Parker, and that he could rely implicitly on his intimate friend Taylor, that encouraged him to prosecute Lord Queensberry. Sir Edward Clarke--I must rise to object to Mr. Solicitor-General's rhetorical descriptions of what has never been proved in evidence, in asserting that an intimate friendship existed between Mr. Wilde and Taylor. The Solicitor-General--Gentlemen, it is not rhetoric; it is a plain statement of-fact. What are the indications of an intimate friendship? They call each other by their Christian names. Is he not a great friend on his own profession? Does he not say to Taylor: "Bring your friends; they are my friends; I win not inquire too closely whether they come from the stables or the kitchen"? No doubt my learned friend desires now to disconnect them. He wishes as a result of this trial that one should be condemned and the other left free to continue his grand literary career. The Solicitor-General--My friend hopes to preserve Wilde by means of a false glamour of art. Sir Edward Clarke--My lord, I must protest against this line of argument. I protest strongly against the line the learned Solicitor-General is taking. The Solicitor-General--Oh, you may protest. Mr. Justice Wills--So far no mention has been made of the verdict in the other case. Sir Edward Clarke--All this is as far removed from the evidence as anything ever heard in this Court. The Solicitor-General--I am alluding, my lord, and I maintain that I am right in alluding, to my learned friend's last appeal to the jury as to the literary position of his client; and I am dealing in connexion with that with his connexion with the man Taylor, and I say that these men must be judged equally. Sir Edward Clarke--They ought to have been fairly tried in their proper order. The Solicitor-General--Oh, my lord, these interruptions should avail my friend nothing. Mr. Justice Wills--Mr. Solicitor-General is perfectly within his rights. The only objection is to allusions to the result of the trial of Taylor. Mr. Justice Wills--These interruptions arc offensive to me beyond anything that can be described. To have to try a case of this kind, to keep the scales even and do one's duty is hard enough; but to be pestered with the applause or expressions of feeling of senseless people who have no business to be here at all except for the gratification of morbid curiosity, is too much. I hope that no further interruption of this kind will be heard throughout the rest of the trial. If there is anything of the kind again I shall clear the Court. The Solicitor-General--I contend that such a letter found in the possession of a woman from a man would be open to but one interpretation. How much worse is the inference to be drawn when such a letter is written from one man to another. It has been attempted to show that this was a prose poem, a sonnet, a lovely thing which I suppose we arc too low to appreciate. Gentlemen, let us thank God, if it is so, that we do not appreciate things of this sort San at their proper value, and that is somewhat lower than the beasts. If that letter had been seen by any right-minded man, it would have been looked upon as evidence of a guilty passion. And you, men of pride, reason, and honour, are tried to be put off with this story of the prose poem, of the sonnet, of the lovely thing. It is a common-sense conclusion that Mr. Wilde bargained with Wood and bought the letters. Indeed Mr. Wilde's own admissions--which agree up to a certain point with the evidence of Wood--prove Wood's story to be true. What necessity was there for Mr. Wilde to give Wood supper in a private room or to tell him that his family was out of town? If what Mr. Wilde has said is true as to his first meeting with Wood, all he had to do was to hand over to him the money he was deputed to give him and, if he thought there was aught in this young man that appealed to his own benevolence, to add such sum as provided for such refreshment as Wood might desire. In my submission Wood has no motive for deceiving you on this occasion. I say that the transaction with regard to the letters is capable of one construction only. Mr. Wilde knew they were letters which he must recover; he bought them and tore them to pieces. He kept the one which he had from Allen, because he knew that Mr. Beerbohm Tree had a copy of it, so that it was useless to destroy the original. Gentlemen, if you come to the conclusion that Mr. Wilde did purchase these letters, it throws a flood of light upon his conduct. It shows that he knew the class of men with whom he had been intimate and with whom he continued to be intimate. . . .
My learned friend has said that these witnesses arc blackmailers and has warned you against giving a verdict which should enable this detestable trade to rear its head unblushingly in this city. Gentlemen, I should have as much right to ask you to take care lest by your verdict you should enable another vice, as detestable, as abominable, to raise its head with unblushing effrontery in this city. The genesis of the blackmailer is the man who has committed these acts of indecency with him. And the genesis of the man who commits these foul acts is the man who is willing to pay for their commission. Were it not that there are men willing to purchase vice in this most hideous and detestable form, there would be no market for such crime, and no opening for these blackmailers to ply their calling. . . .
With regard to Taylor, who on the occasion of the first trial was charged by Mr. Carson with procuration on behalf of Wilde, I must point out that Taylor was in Court during the Queensberry trial, and yet he was not put into the witness-box. Again, one would have thought that after the Wood incident, Taylor would have been asked to be careful in the selection of the friends he introduced to Mr. Wilde. But, no. Taylor had carte blanche to bring along any friends he pleased. He brought along Charles Parker, and it is manifest that the prisoner's intimacy with Charles Parker was not a matter of ordinary friendship. In connexion with Parker's testimony I must repel the suggestion that Mr. Russell, Lord Queensberry's solicitor, or any of the representatives of the Crown have given either fee or reward to the youths who have given evidence in this case. All the prosecution has done has been to take precautions to prevent tampering with those witnesses, and to ensure their attendance in Court. Naturally the witnesses have been removed secretly from place to place, and I make no apology for the course the Crown has taken in this matter. 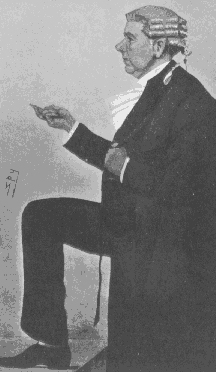 Charles Parker, whose evidence gave rise to this suggestion, could not possibly have had any sinister motive in telling a story involving his own shame and to some extent his own condemnation, for it has never been shown that Parker, whatever his past conduct may have been, has attempted to extort money from Mr. Wilde. Sir Edward Clarke has exaggerated--unintentionally, of course--what his lordship said yesterday with regard to the two cases of the person or persons unknown. My learned friend made it appear as though the evidence in these cases was exceedingly slender, but as a matter of fact his lordship has left that part of the case unreservedly for your consideration, gentlemen. Now, I contend that there is ample evidence as to these particular charges. The defendant has given no explanation of the discoveries made by the employees of the hotel. It is no conclusive answer to say that Mr. Wilde did everything openly. If crime were always cautious, it would always go unpunished, and it is in moments of carelessness that crime is detected. Why was Lord Alfred Douglas, who slept in the next room, not called to deny the-statements of the chambermaid? I maintain that she and the other witnesses from the Savoy Hotel could have no possible object in patching up a bogus case. There is no reason why Mr. Wilde should not be cross-examined with reference to other offences. You are entitled, gentlemen, in the interests of justice, to put a commonsense interpretation upon the conditions and circumstances under which the lads outside the present case were found. . . .
Now, gentlemen, I have been through the whole of this case. I have pointed out to you its strength, and I have to ask you to do your duty in regard to it. I have already dealt with that-as I think, unfortunate--appeal which my learned friend made as to the literary past or literary future of Oscar Wilde. With that we have in this case nothing whatever to do. He has a right to be acquitted if you believe him to be an innocent man, be his lot high or low. But if, gentlemen, in your consciences you believe that he is guilty of these charges--well, then you have only one consideration, and that is to follow closely the obligation of the oath which has been laid upon you.